Here’s a little “cheat sheet” on how this site was designed to be used. We hope you find this post informative! The main homepage of NJroute22.com is laid out in a magazine-like format. Most noticeable, (besides the header logo), is the “slider” up top. This will contain the five most recent posts. Depending on whether you’re using a desktop device or mobile device – you may see between one and five clickable images up here. Keep that in mind if you’re viewing on a smartphone. This is “swipeable” on touch-compatible devices. On the homepage, are various content boxes. This may change over time, but initially, we have a few sections of interest that we have created content for. If you keep checking back regularly, this content should change automatically. Additionally, there are the standard website menus above and below the header logo. Click and explore these. We’ve categorized the content on this site so you can drill down further for more specific content. Also on the menu is a section called “blog.” This represents a timeline of content in the order they were published, regardless of the category of interest. If you subscribe to our RSS feed – you will get the latest posts delivered to your reader. Another section in the top menu is a feature called “FORUMS.” We have provided a basic discussion forum for any topic a reader would like to create. It could be to promote something, or as other readers questions. Luckily, this is out of the uber-control of social media – and we hope that people eventually use it. NJroute22.com is produced by a local resident who patronizes area businesses as part of our every-day life. We request that you either disable the ad-blocking software or kindly ask that you “white-list” our site to allow advertisements to show. It helps support the honest content we hope to provide each week. We are not a big data-mining company with billionaire owners looking to take advantage of anyone. So if supporting a local over some “board of directors” gives you some happiness, that would be great. Acknowledging content-creators is a big deal. 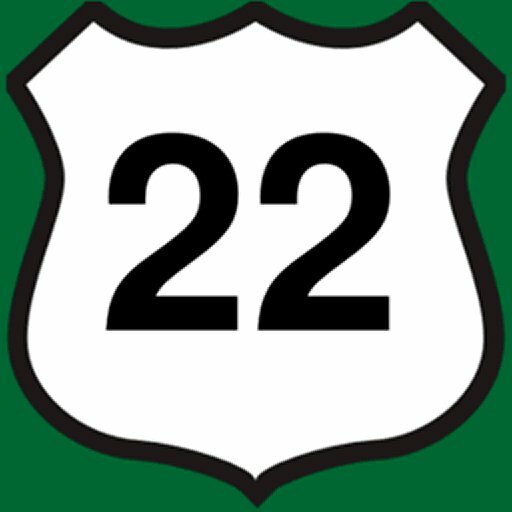 This website will not serve as a bonafide “directory” of things related to Route 22. We’re not a dictionary, phone book, and so on. This site is a morph of a magazine, travel-blog, lifestyle-zine, and much more. But it will not be a directory per se. You can find things both by using the category links – as well as the multiple search boxes we’ve provided. We hope that if you’re looking for something specific (and we’ve published material about it), you can find it. But by being a regular reader, you will not need to utilize this site as a directory. You’ll already know. This newsletter is very basic. It will summarize all new content published the week prior. If it’s too difficult for you to navigate to a website like ours on a daily basis, you can simply get the nuggets sent to your inbox every weekend. We currently use MailChimp to deliver new posts once a week. If you click on that link we just provided (and sign up) – we get credits for MailChimp if our subscriber base grows too fast. Promoting events – especially if they’re politically-charged, is not our thing. If you want to promote some kind of event – feel free to use our forums as we mentioned above. We cover many of the roads that intersect Route 22 (we call them offshoots), such as Route 31, Route 202, Route 206, Route 57 and many more. Additionally, we will publish many general-interest stories that are either location-specific or can apply to anyone across the globe. That’s what publications created by humans do. You think the NY Times only publishes things related to New York? So try not to get flustered if we cover places like Flemington or Morristown or even Pennsylvania from time to time. We live in the same general region of planet Earth – so it should be deemed okay. If this is your first or second time visiting the site – and you stumbled upon this helpful post – we ask that you give us a chance. Again, we’re not backed by gobs of venture-capital cash. Nor do we have a massive team of people burning through startup funds just to break through into a particular market. No, we’re just honest NJ residents trying to create something different and interesting for our friends and neighbors to use. Whether it’s simple information, entertainment, curiosities, or even the urge to explore somewhere you’ve never been – this site is a different take on the tried and true. We’ve observed countless web publications over the past two decades. I don’t think many can match the style we have. Most follow cookie-cutter formats and typically include the dreadful political and other social issues that most of us have become either polarized or indifferent to. It’s time for something completely refreshing and unique! And we hope that you’ll be witness to that as we grow over the coming years. Thank you for your readership – and hope to be your partner in this journey!